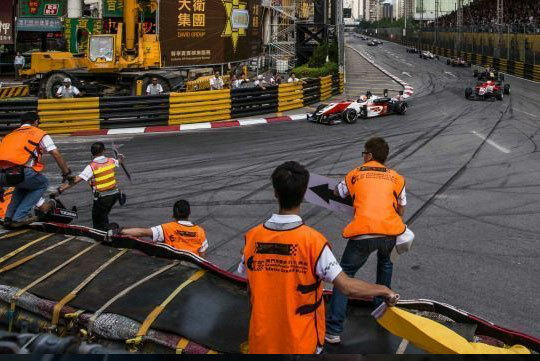 Formula 3 driver Sophia Floersch flew off the track and fractured her spine in a high speed crash in Macau. In her recent interview from the hospital Sophia mentioned that she was "fine". The car a Van Amersfoort lost control at a speed at 280km/h. The car was catapulted into the air after hitting her fellow driver Sho Tsuboi. Four others were taken into the hospital including 2 photographers, a track marshal and Tsuboi. All of them were conscious and were treated with various back, head and facial injuries. View the video below.